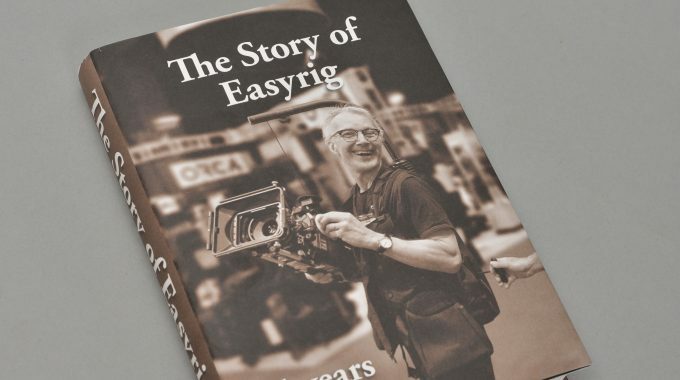 Before we release a new product we stress test it vigorously here at the Easyrig headquarters. But that doesn’t cut it for us – we sent out 6 Easyrig Flow units all over the world to be tested by camera operators. These are their own words, we have not adjusted their statements. The Easyrig Flow is AMAZING! It is like someone attached half a Steadicam arm onto my beloved EasyRig. Much smoother than the Easyrig/Serene combination and much stronger too. The EasyRig Flow was fantastic with a handheld camera and worked even better with the Movi. It really smooths out the vertical camera movement while walking or running. The arm is much heavier duty than a regular EasyRig and can more easily handle the weight of a large camera or gimbal rig. I also really like how simple it is to adjust both the arm load and spring tension. My only complaint, or actually comment, is that it is heavier and taller than a conventional EasyRig, but again, that weight translates into a much stronger and stable arm. Congratulations on another great product!! The Flow arm is very exciting. I will say it is different from the Flowcine Serene but it will take away a lot of their sales. Easyrig Flow Arm and Flowcine Serene are slightly different and depending on what you want the both offer different aspects. I like it is low profile, can walk under doorways which is a major factor that makes it so good. It seems to dampen the Gimbal well. I will check test footage. I need to try it with camera only as a std Easyrig. If it is good, then it is a great option to have on an Easyrig that covers camera and gimbal. 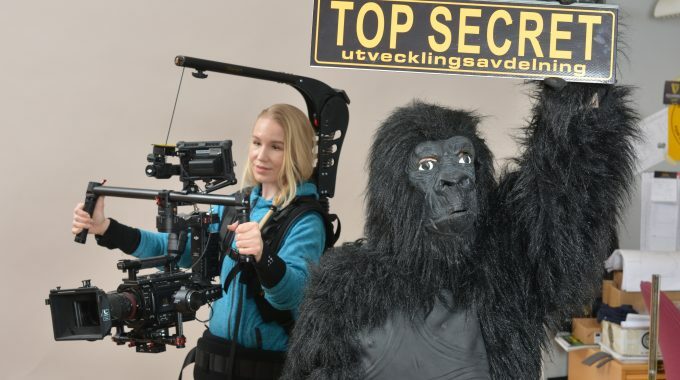 Perfect for drama / films/ commercials etc that have both production Camera and a Gimbal on set. It is heavier but with Gimbalrig vest it does not matter and I did not think about or notice any extra weight on my body. I love the arm moves up / down. Makes it much easier to slowly raise Gimbal during shots. Only negative so far is the reach of the arm. Flow Arm is shortest length one can use a gimbal at. I personally like gimbal further away for better, easier, more precise operating. This is the Serene advantage. Serene on a 130mm arm + Serene extension arm places gimbal a good distance from operator. I see Flow Arm as the perfect compromise to have a single Easyrig that carries both camera only for hand holding and gimbal. It is very very good plus has low profile so can walk thru doorways ( if the gimbal operator is not too tall) . I’m sorry for not being able to answer you earlier, I’ve been so busy with shooting the series I’m working on at the moment. So far I really like the Easyrig Flow, I’ve got some scenes next week that really is going to put it to the test. As of now, I think that it’s really agile and it follow my movements very well. One big advantage that it has over the Serene is that it doesn’t build as much on the height and that it can operate cleanly in the range of motion that is provided. As I said earlier – the Serene always added “an extra step” for me when I used it, making it hard to for me to really use the whole motion of the arm when going from a low shot to a high shot. Your construction feels a lot smoother and more organic, a big plus is that it’s incorporated into the construction of the Easyrig instead of being a add-on. I’ll get back to you later with more comments. Unfortunately, our actors was very tall. It was hard to get the gimbal up in eye hight. I tested the Flow arm with the Ronin 2 Gimbal 5 days on a feature film only. We used it for some scenes where I was standing on a «rickshaw» specially made by my grip. This configuration worked very well for a walk and talk scene outside. How did it work with a Gimbal? Because if the center connection, it made it easy to pan the gimbal without using any force. This is far better than other rigs. 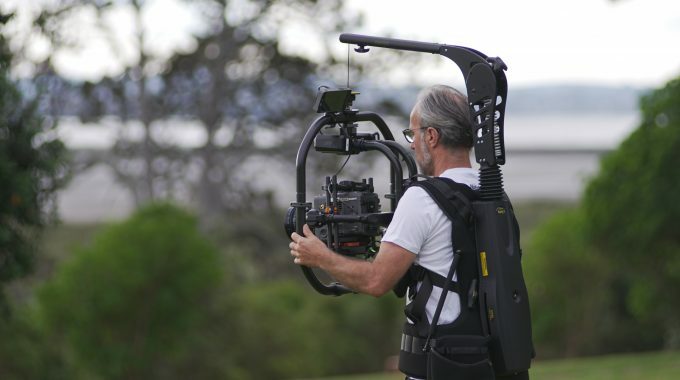 But as with many other Gimbal rigs ´they tend to get too tall /long if you want to walk with the rig and be in eye high of the actor. When the Flow arm get too tall, it does not go trough standard doors. This is actually a big problem when shooting Interior. How did it work without a Gimbal (handheld)? I did not try it without. First off: It’s great! Good job! This easily replaces the Serene, and adds convenience. It’s smooth and strong, it cuts at least 20 cm of height which helps in tight spaces, especially indoors. With the line not being guided through an external device, it’s also smoother when you reach top and bottom. On the Serene, when the small extension arm hits the top, you’re kind of stuck there until you make a more violent movement to make the line retract into the EasyRig. With this solution, when the arm hits the top position, the line just smoothly starts retracting, lifting the camera even further. So if I’m doing a shot that starts low, with the Maxima, I can «jib» up to a high position without adding jarring movements on the way. I also love that I’m easily able to reach the knob to adjust tension myself. The system is very interesting, it is the all in one solution for my back and stabilisation of camera. I will try it in action tomorrow, I have a shooting. The hole on Flow, to make it 90˙- is there a tool to make it into (it would be nice if the key for adjusting strength in the back would fit in). Maybe the spring would be nice if it was black (or covered) so you do not see the mechanism. On Flow (on the back) there would be nice to have a few holes (for screw) for mounting different items (for link, go pro, 360 camera).